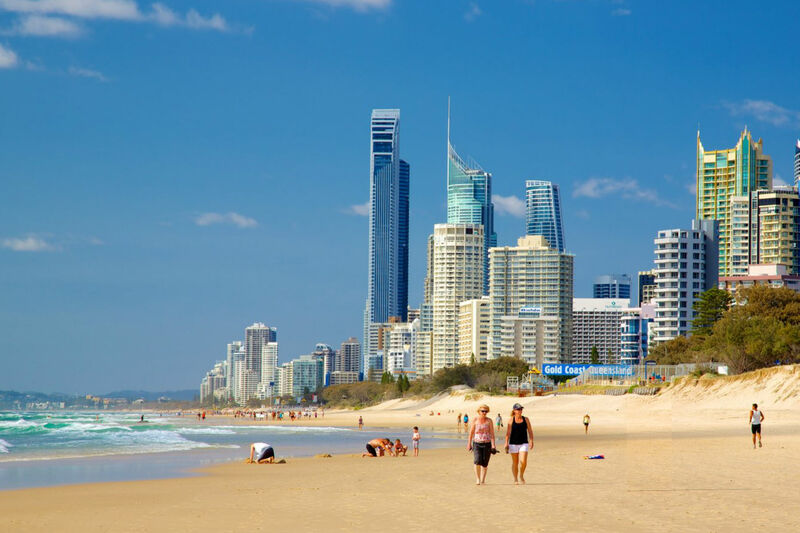 Here is a roundup of the events for February 2019 on the Gold Coast. 29/09/2018 – 30/03/2019 – Latin Dancing Under the Sails – Social Latin dancing with the best Latin music DJs on the Gold Coast playing a variety of Latin music to get everyone dancing. 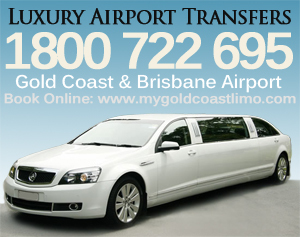 Open air, outdoors, beautiful venue outside the Oasis shopping centre and surrounded by many restaurants. Open to everyone and it’s free. This event is held once a month, usually the last Saturday of the month but this is subject to change. They look forward to seeing you. 27/04/2018 – 26/04/2019 – Cuban Carnival Party – Get swept away to a world of tropicana showgirls and amazing Latin American fare every Friday night at The Cuban Bar and Lounge. The glamorous showgirls will be dazzling guests with eye catching costumes and hypnotising moves at “The Cuban Carnival Party”. The perfect spot to kick start the weekend with your closest amigos. Cocktails, delicious share plates and fancy show girls, what’s not to love? Carnival festivities start at 7pm every Friday. 25/09/2017 – 25/03/2019 – Karaoke at The Avenue – The Avenue hosts the Gold Coast most popular Karaoke show every Monday night from 8.30pm. Featuring the amazing Karin from Red Hot Entertainment. Come and join the fun, where everyone becomes a star. 22/05/2018 – 14/05/2019 – Jammin with Who – Tuesday nights is Jam Night at The Avenue hosted by Katie Who. Hailing from Australia’s east coast are atmospheric indie pop act Katie Who. Delivering tantalising hooks, uplifting beats and soaring vocal melodies that are impossible to forget. Talented artist from a far travel to perform with this very talented musician for a night of very memorable moments. 17/04/2018 – 25/06/2019 – Tuesday Night Comedy With Based Comedy – Join them every Tuesday night as some of the best stand up comedians from around the country take to the stage to entertain you. Hosted by Based Comedy with some of the best amateur and professional comedians in Australia. Reserve your table for Tuesday Night Comedy at the Cecil Hotel now. 16/10/2018 – 17/12/2019 – Comedy at Mano’s Tedder Ave – Comedy at Mano’s Tedder Avenue on the third Tuesday of the month at 7.30pm. Once a month at Mano’s Tedder Ave, resident MC Lindsay Webb hosts a hilarious night of comedy on Tedder Avenue, Main Beach! Every third Tuesday they’ll be bringing you some of the best comedians from around the country – all for free! Shows start at 7.30pm. 15/04/2018 – 23/06/2019 – Sunday Night Comedy With Based Comedy – Free entry! Join them every Sunday night in The Palm Beach Hotel restaurant as some of the best stand up comedians from around the country take to the stage to entertain you. Hosted by Based Comedy with some of the best amateur and professional comedians in Australia. Reserve your table for this week’s show. 12/04/2018 – 18/04/2019 – Thursday Night Comedy With Based Comedy – Stand up comedians from around Australia take the stage to entertain you. Join Based Comedy for a night with some of the best amateur and professional comedians in the Australia. Get in early and reserve your table for a great Thursday Night Show at the Dog and Parrot Tavern. 11/10/2018 – 19/12/2019 – Based Comedy at the Dog and Parrot Tavern – Free entry! Every Thursday night in the public bar from 7.30pm. Stand up comedians from around Australia take the stage to entertain you. Join Based Comedy for a night with some of the best amateur and professional comedians in the Australia. 09/10/2018 – 22/12/2020 – Based Comedy at the Cecil Hotel – Free entry! Join them at 7.30pm every Tuesday night as some of the best stand up comedians from around the country take to the stage to entertain you. Hosted by Based Comedy with some of the best amateur and professional comedians in Australia. You must be over 18 years of age to attend this event. 09/02/2019 – 09/02/2019 – Volunteer Bushcare Coomera River Group – Volunteer in a community tree planting day, Bushcare or Landcare group, and help protect, restore and enhance our natural areas through bush regeneration activities. 09/02/2019 – 09/02/2019 – Volunteer with BeachCare – Tallebudgera – Come along and join in on some free community coast care activities with BeachCare and help preserve our coastal environment. 09/02/2019 – 09/02/2019 – Lunar New Year celebration – Join us on Saturday 9 February from 4pm to 9pm at Gold Coast Chinatown for this free event. 09/02/2019 – 09/02/2019 – ArtLab: Rockstar Selfies with Rebecca Lewis – Transform yourself into a rock star in this crazy fun workshop with Rebecca Lewis. Make a self-portrait using collage, drawing and photography and snap a rocking photoshoot on location, right here at HOTA. 09/02/2019 – 09/02/2019 – Your Numbers, Your Year – Tiarnie will guide you through the delicious energy of 2019 and share insights around your own personal year number so you can make the most out of your year and cultivate a deeper understanding of who you are. 08/02/2019 – 02/03/2019 – Disney The Little Mermaid – Based on one of Hans Christian Andersen’s most beloved stories and the classic animated film, Disney’s The Little Mermaid is a hauntingly beautiful love story for the ages. 08/02/2019 – 08/02/2019 – Open House and Sausage Sizzle – The special event will include a tour of homes, facilities and gardens, the opportunity to meet with staff and residents, and complimentary lunch and refreshments. 08/02/2019 – 10/02/2019 – Lifeline Gold Coast Bookfest – The Lifeline Bookfest is back on the Gold Coast this Friday to Sunday, with over 35 tonnes of books from as little as 50 cents. 08/02/2019 – 09/02/2019 – Eurovision – Australia Decides – Australia will compete in the Eurovision Song Contest for the fifth consecutive year and three ticketed shows will take place on the Gold Coast to help decide who our representative will be. 08/02/2019 – 24/02/2019 – Surfers Paradise Sand Safari Arts Festival – The iconic Surfers Paradise precinct is set to be transformed into a sea-inspired sandscape as the annual Sand Safari Arts Festival creates a sandstorm of creativity. 08/02/2019 – 08/02/2019 – The Couch Outloud – The Love Couch – Are you ready to connect in real life with real people? Be entertained, inspired and have fun? The Couch Outloud live talk show is for you. 07/10/2018 – 22/12/2019 – Based Comedy at The Palm Beach Hotel – Free entry! Join them every Sunday night in The Palm Beach Hotel restaurant as some of the best stand up comedians from around the country and around the world take to the stage to entertain you. Hosted by Based Comedy with some of the best amateur and professional comedians in Australia. 18+ event. 07/02/2019 – 07/02/2019 – Stardust Junior Astronomy Club – Come along to the Runaway Bay library to hear all about the many incredible spacecraft exploring our Solar System. 06/02/2019 – 06/02/2019 – Luminary Lecture: What does it take to be a venomologist? – Join Jordan Debono, a passionate researcher and science communicator as she describes how she works with venomous snakes every day in an attempt to combat various blood clotting disorders. 05/02/2019 – 05/02/2019 – Koala Conversations – Koala Conversations is your opportunity to openly engage with a panel of external experts in the field of wildlife rescue, wildlife health and koala ecology, as well as City of Gold Coast officers. 05/02/2019 – 05/02/2019 – Free Butterfly Walk – Join our Butterfly Expert at the Friends Centre to discover the butterflies that live in our Botanic Gardens. 05/02/2019 – 05/02/2019 – Monthly ladies singing group – The Sing Sisters gathering is not for professionals. It is designed for women who just want to sing for fun. 05/02/2019 – 19/02/2019 – Taoist Tai Chi – Nerang – Taoist Tai Chi is an effective form of holistic health training, working on the physical, mental and spiritual dimensions of our being. It is suitable for all ages, and adaptations can be made to match any level of ability. 03/02/2019 – 03/02/2019 – Summer “Sunday Sounds” – Bring your picnic rug and enjoy this week’s act, ‘Sweet Soul Music’, tribute to Soul, R& B and Funk. 03/02/2019 – 03/02/2019 – Virtual tour of the Botanic Gardens in the air-conditioned Friends’ Centre – Discover plants that have contributed to the survival of Indigenous Australians for many thousands of years. 03/02/2019 – 03/02/2019 – Seaside Sounds Kirra 2019 – Held at one of the Gold Coast’s finest beach side locations, Seaside Sounds Kirra returns this summer for five consecutive Sunday afternoons, with free live music on the iconic Kirra foreshore. 02/02/2019 – 16/02/2019 – Taoist Tai Chi – Mermaid Beach – Taoist Tai Chi is an effective form of holistic health training, working on the physical, mental and spiritual dimensions of our being. Find out how you can sign up. 02/02/2019 – 02/02/2019 – Volunteer with BeachCare – Main Beach – Come along and join in on some free community coast care activities with BeachCare and help preserve our coastal environment. 02/02/2019 – 02/02/2019 – Movies under the Stars – Trolls – Biggera Waters – After the Bergens invade Troll Village, Poppy, the happiest Troll ever born, and the curmudgeonly Branch set off on a journey to rescue her friends. 02/02/2019 – 02/02/2019 – Movies under the Stars – Peter Rabbit – Reedy Creek – Feature adaptation of Beatrix Potter’s classic tale of a rebellious rabbit trying to sneak into a farmer’s vegetable garden. 01/02/2019 – 01/02/2019 – Guided Native Bee Walk in the Botanic Gardens – Find out more about Australian stingless native bees and how you can have them in your garden by joining our guided walk. 01/02/2019 – 01/02/2019 – Friends of the Gold Coast Botanic Gardens Nursery Sale – Friends of Gold Coast Regional Botanic Gardens’ nursery is open on the first Friday of the month for sales. 01/02/2019 – 01/02/2019 – UB40 featuring Ali, Astro and Mickey Live at NightQuarter – UB40 featuring Ali, Astro are Mickey are touring New Zealand, Australia and the Pacific islands with their ‘A Real Labour of Love – 40th Anniversary Tour’. 01/02/2019 – 01/02/2019 – Beauty and the Reef documentary screening and Q&A session – Beauty and the Reef takes us on a journey of the worlds largest ecosystem and the fight to save the Great Barrier Reef. 01/02/2019 – 01/02/2019 – NightQuarter Spectacular – Live in the Paddock – A mesmerising stage show set to surprise and delight. 19- 22 April 2019 – Australian Street Entertainment Carnival – Surfers Paradise will once again transform into carnival of laughter and entertainment with the return of the ASEC. 8 – 24 February 2019 – Sand Safari Arts Festival – Surfers Paradise transforms into a precinct of art inspired by sand and sea. Every Thursday – Dragalicious every Thursday – Surfers Paradise venue, The Avenue is setting the stage for an electric night of Glam and Glitter with its new addition, DRAGALICIOUS.